After what proved to be quite a trying year, but with little time to spare nonetheless, a friend and I decided to take a short weekend to Zurich to walk around and take the opportunity to go visit the Museum für Gestaltung, which is currently located in the Zurich University of the Arts (ZHdK). Their opening exhibition there was that of "100 Years of Swiss Design". We didn’t go to the usual Bahnhofstraße and the like, being that both of us have visited those areas before. 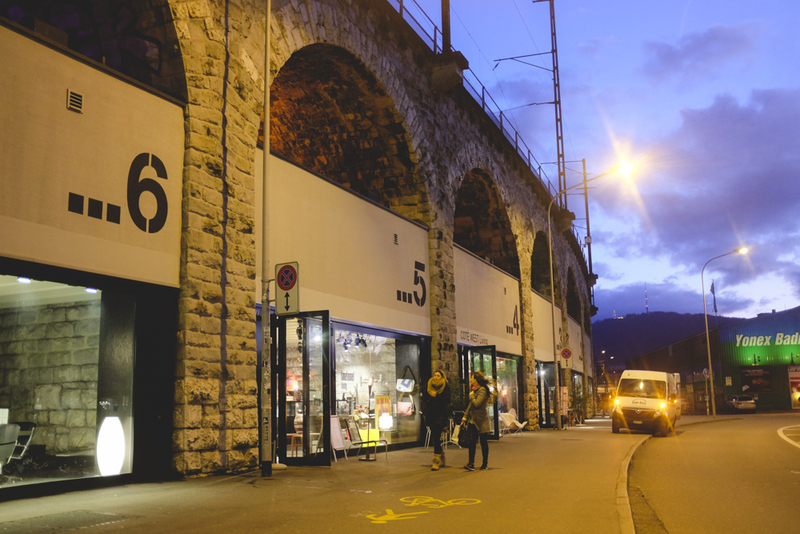 Instead we visited all of the “Im Viadukt“, a shopping street and food hall housed under the railway bridge. We discovered a few new places including the Cloud Bar (can’t help feel it was a little overrated but it did offer a lovely view), the funky Freitag flagship store built from stacked containers from which you have an impressive view of Zurich from the open air top (wheelchair users will never make it up there, unless there is some pulley system which heaves you up outside the structure which I didn’t notice?). We went to a cool covered market which sold handmade articles (such as jewellery made from Nespresso capsules!) and locally made products. 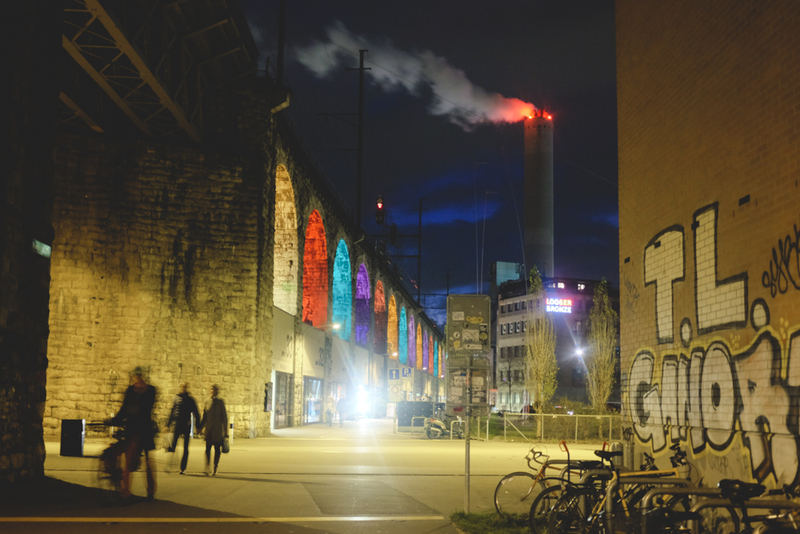 With all the walls painted black, unheard before jazz playing (to me at least), bright colours from the stands and the scent of Glühwein in the air (that’s mulled wine), we discovered another side of Zurich which I personally hadn’t experienced before. There is this great vibe running through the place. The young, successful, artsy vibe created by this 30-40 year old crowd and their children. Of course the other age groups are present as well, just seemed to se less of them in this time around. So there you have it. A short and sweet city stop off. 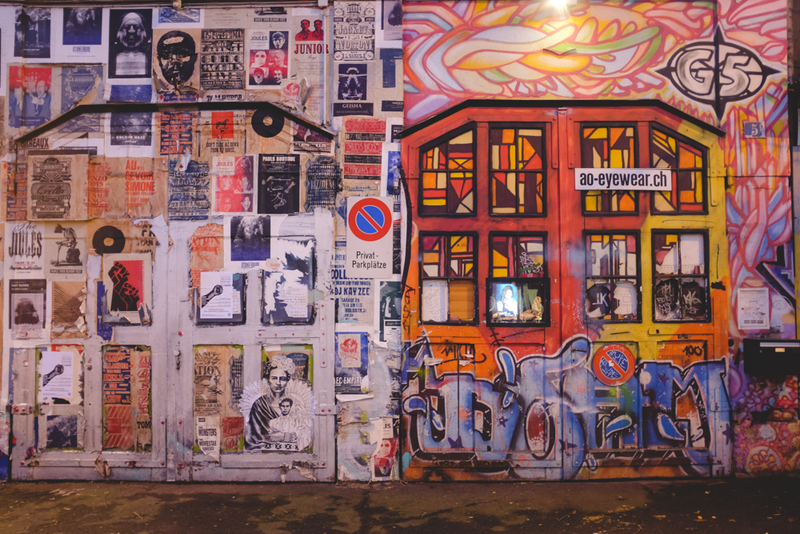 We stayed at the 25 Hours Hotel and if I'm not mistaken I can say that we did a short and sweet round around Zurich's District 5. One to definitely do again as it’s only a short train ride away… but perhaps next time I might venture into another corner of the city. My faithful little Fuji X100s 35mm fixed lens camera accompanied me on the trip.